Host Sarah Koenig did present a few morsels of new information last night, but these could only be seen as revelatory within the little microcosm of the 12-episode podcast and its endless re-examination of the minute circumstances of the case. I got hooked by the series because of its narrative daring. It re-investigated a 15-year-old murder case in seriallized form, summarizing a journalistic investigation that took over a year to carry out in weekly segments. And it was told in the intimate tone of a podcast – different than radio, less formal in language, with innovative sound editing to draw you in very close to the action, letting you judge the veracity of statements and stories for yourself. It included interviews with Adnan Syed from behind bars, clips from his trial, and interviews with most of the major actors in the drama. In the end, there was no closure (did we really expect that?). We still don’t know for sure what happened to Hae Min Lee on January 13, 1999 – who killed her, or why. If not Adnan, then who? And what about Jay, the friend of Adnan’s whose testimony was crucial in convicting the 17-year-old, and yet who was also involved, by his own admission, in the disposal of Lee’s body? But here’s what really struck me last night, as Koenig struggled to reconcile all the conflicting bits of evidence and testimony. 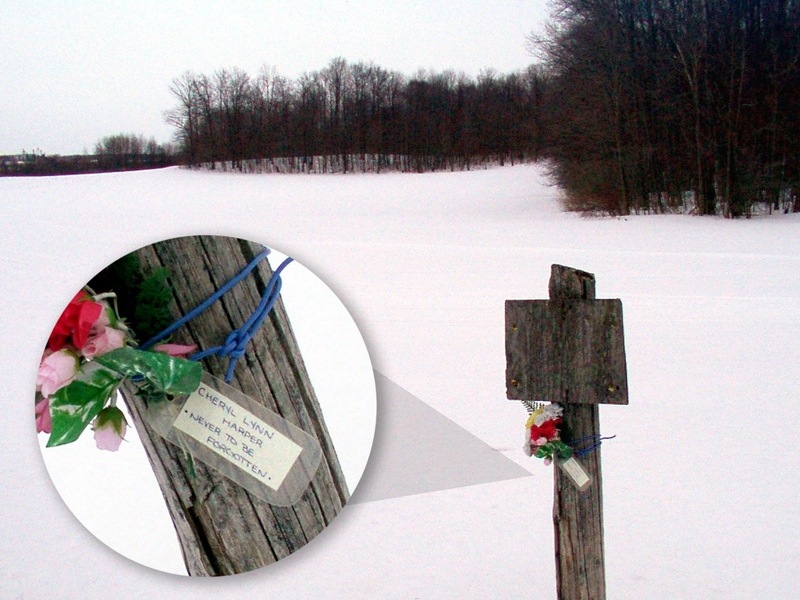 The case of Hae Min Lee in Baltimore of 1999 bore striking resemblances to that of Lynne Harper, 40 years earlier, near Clinton, Ontario. It is forever associated with the name of Steven Truscott, who was convicted of Harper’s murder and sentenced to hang (capital punishment ended in Canada before that happened). It too involved a young man (Truscott was 14, Syed was 17), a young woman brutally murdered, and a conviction that featured confliciting views and stories over a narrow time frame (about 30 minutes in each case). Both Truscott and Syed were convicted based on circumstantial, not forensic evidence, by the testimony of their teen peers, who gave incriminating accounts (in Truscott’s case, they turned out later to be false), and their own lack of a clear alibi. In each case, the accused did not testify in their own defence. The imputed motives in both cases were sexual in nature: Harper was sexually assaulted, then murdered, and Lee was Syed’s ex-girlfriend, which it was alleged he could not accept. 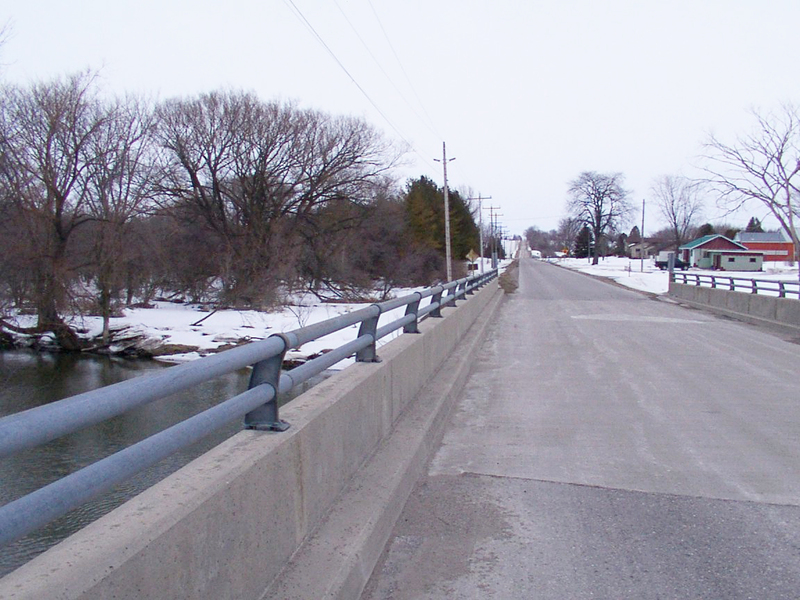 I was so curious about the Truscott case that when I was visting the Clinton area ten years ago, I drove to the spot on the bridge over the Bayfield River near where Lynne Harper was last seen alive. In his statement to police, Truscott testified that he had dropped Harper off on his bicycle at the corner of Clinton’s County Road and Highway 8, then retreated 600 metres to the bridge. When he turned around to look back towards the intersection, Truscott said he saw Harper get into a Chevrolet with yellow licence plates, which then drove away. It was a one of the key points of contention at the trial: could he have identified the colour of a licence plate (or the make of a car) at that distance? I wanted to test the theory for myself (much like Koenig, re-enacting the movements of Syed in 1999, seeing if he could have travelled distances in a car in a timeframe that matched his version of the events of January 13, 1999). This was 2005, still two years before Truscott was acquitted. I stopped my car at the bridge, got out, and gazed down the road. I could see the yellow and red sign that warned of a stop sign, perhaps only 400 metres away. But I could not make out, nor detect the colour of the stop sign, another 200 metres or so further distant at the highway, at the intersection of the County Road and the highway. Could Steven Truscott have seen the colour of a licence plate on a car stopped at the intersection, from this vantage point, on the evening that Lynne Harper disappeared? I must admit, I doubted it, as much as I wished to believe him. But why would he lie, if, as he had maintained for 46 years, he was innocent of any wrongdoing that night? That’s essentially where Sarah Koenig ended up at the conclusion of Serial. She wants to believe Syed, because his declaration of innocence to her over the phone seemed convincing, but she harbours doubts, because of the peculiar circumstances and Syed’s foggy memory of the afternoon (he was very stoned). She concludes that from a legal perspective, he should have been acquitted at his trial, because of reasonable doubt and the lack of clear forensic evidence. There’s a broader lesson to be learned from both cases, and this comes as no revelation for those involved in criminal law I suspect. From any given set of facts, the truth varies depending on the witnesses, sometimes at great odds. There is never an objective truth when it comes to eyewitness testimony, which must be subjected to great skepticism and balanced against provable facts and forensic evidence. Adnan’s case, Koenig revealed last night (again, spoiler alert), is now being appealed in a couple of ways, one of them by “The Innocence Project” (a similar legal outfit to Canada’s “Association in Defence of the Wrongfully Convicted”, which helped win Truscott’s acquittal). They are petitioning to have DNA evidence found with Lee’s body compared to the identity of a serial offender who was released from prison in early 1999 and subsequently committed other offences, one of them against another woman of Korean descent. After I conducted my experiment at the Bayfield River bridge, I drove up the hill another half-kilometre to a snowy field. I was astounded to find a tiny makeshift memorial stapled to a wooden post on the side of the road, near the bush where her body was found. It read: “Cheryl Lynn Harper – never to be forgotten.” This was the winter of 2005; Harper died in the summer of 1959. You can download the Serial podcast from iTunes, or listen online here. The best book about the Truscott case is Julian Sher’s Until You Are Dead. There’s a short video with archival photos about the case here. I found this podcast chilling having witnessed the vagaries of our own criminal justice system in Canada. As she describes, innocent until proven guilty often disappears, and the preference of defence and prosecution lawyers to control the story does not fit with our perception of justice.